Mojo Yamaha is seeking sponsorship for the Phillip Island Classic International Challenge event in January 2020. Our motorcycle build is nearing completion and these expenses have already been funded by the team. We are seeking sponsorship to cover the riders’ expenses, the pit crew expenses and the consumables for the event, such as fuel, etc.  Interested in being a part of the Mojo Yamaha International Challenge? Contact us today! Sponsor will receive five (5) team USA shirts plus signed team photographs showing their logo. With this level of sponsorship covering our overall needs, representatives of the sponsor will be invited to track test days and post-event, with a suitably qualified rider a test session of one of the team bikes. Sponsor will be noted across the home page of the Mojo Yamaha website (mojoyamaha.com). I want to sponsor the team! Sponsor will receive three (3) team USA shirts plus signed team photographs showing their logo. Similar to the Overall Team Level, this will include all of the branding components, but only on one of the bikes (see bullet list above). It will also include the invite to track test days and a prominent note on the Mojo Yamaha website. I want to sponsor a Rider/Bike! A Supporting Sponsor is any sponsorship over $1000 that is not a Team or Rider/Bike sponsor. Sponsor will receive a signed team photograph showing their logo. A Frequent Flyer Sponsor will provide sufficient frequent flyer points to transport a team member round trip to the 2019 Philip Island Classic event. This is a critical component of our overall expenses that therefore an important sponsorship. A Fan Sponsor is any sponsorship over $100. Sponsorships over $100 will receive a Team USA event T-shirt for each $100 contributed.